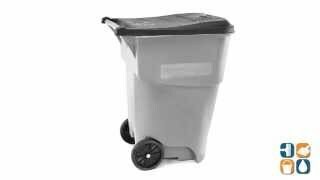 This durable, ergonomic one-piece body construction with a fully-opening hinged lid makes this Rollout Brute Waste Container ideal for any outdoor environment. The slip-resistant handle, foot-tilting detail and balanced lifting points for safety allow for ease of use. 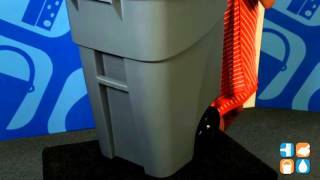 This trash can also has a ground-hugging base for extra stability. Inset 10-inch rubber tread wheels prevent doorway damage. 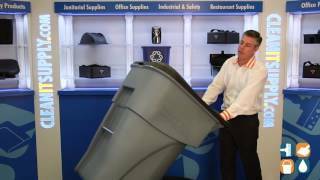 Meets ANSI Standards for use with automated and semi-automated lifting equipment for curbside trash collection. No assembly required.